Been blog reading today and wanted to share delicious pics that I happened upon. 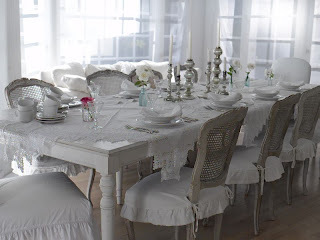 Shabby Chic dining via decor8. Love the white, white, white. Incidentally, I picked up plates at Shabby Chic during my recent trip to NY for $2 a pop! They were heavy but well worth it. Thanks again Lenny for helping me lug them around NYC and the airport. Love ya! 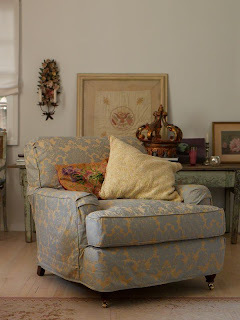 Shabby Chic chair via decor8 as well. 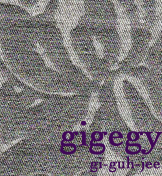 I love the fabric and dont you just want to sink into the chair like right now?! 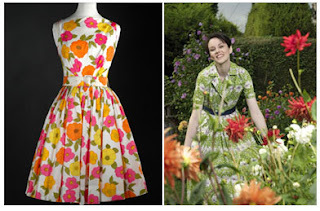 Very pretty dresses via love forever. I myself am in a dress mood these last few months and been hitting up the vintage stores whenever I can. I was just thinking during my lunch time walk that i will start a flickr set of my vintage finds. 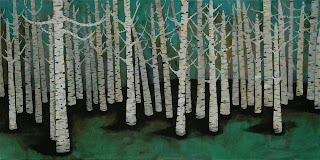 Lisa Congdon's latest masterpiece. I love this one, there's a sense of calm, beauty and simplicity in it.